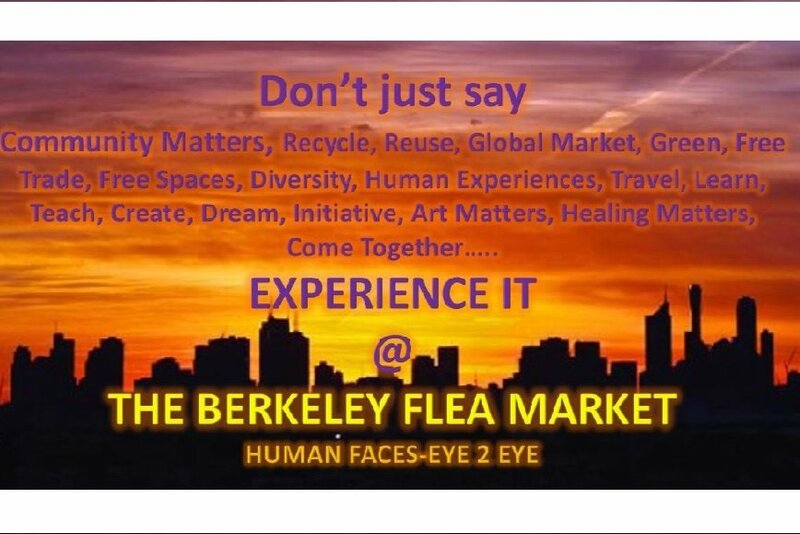 Berkeley Flea Market is a festive heartbeat of the Berkeley community. For over 50 years, the market has been a weekly neighborhood appointment where you can make acquaintance with local vendors, dance to a drum circle, listen to live music, join the open mic, hang with neighbors, or meet newcomers to the city. 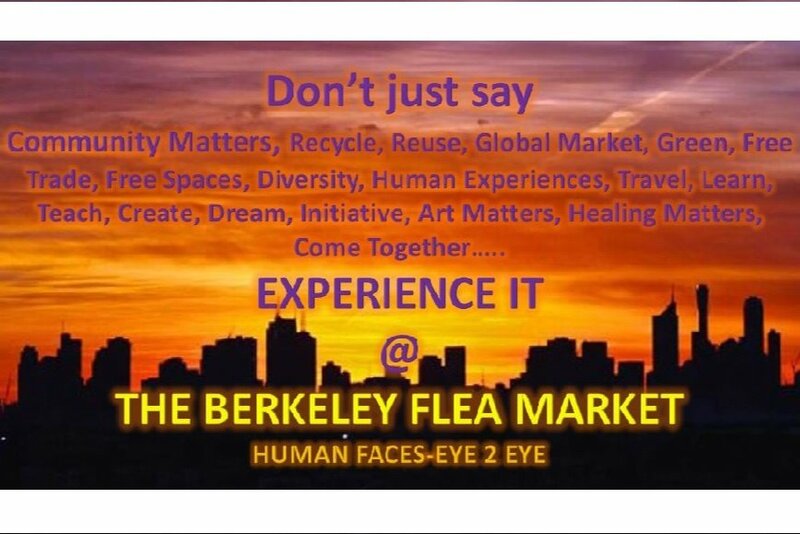 Berkeley Flea Market is loved for its international vibe and food trucks offering a wide range of cuisine, including African, Caribbean, Jamaican and Mexican food. From its original inception, 50 years ago, this community institution, has provided pathways to entrepreneurship for vendors. It has provided a place to celebrate Berkeley’s diversity and cultural expression and highlight Berkeley’s commitment to ecological awareness and sustainable living by providing opportunities for reuse and recycling. In late 2018, the market suffered from reduced revenues due to smoke from the Camp Fire and extended rainy weekends. One rainy day easily contributes to a loss of an entire weekend’s earnings. The organization that runs the Berkeley Flea Market, Community Services United (CSU), is working with Uptima Business Bootcamp, the City of Berkeley’s Office of Economic Development, Market Vendors, and other key community members to ensure the survival of the market and to find creative ways to reduce its economic vulnerability to weather, natural disasters, and other changes. In the interim, we need your support of Market. In late 2018, the market suffered from reduced revenues due to smoke from the Camp Fire and extended rainy weekends. One rainy day easily contributes to a loss of an entire weekend’s earnings. As a result, the market is in a dire financial situation and is unable to cover its regular expenses-- including rent, insurance, and portable toilets. For the months of February and March, the market will be closed to save cost and regroup. The organization that runs the Berkeley Flea Market, Community Services United (CSU), is working with Uptima Business Bootcamp, the City of Berkeley’s Office of Economic Development, market vendors, and other key community members to ensure the survival of the market and to find creative ways to reduce its economic vulnerability to weather natural disasters and other changes. In the interim, we need your help to re-open the market and ensure that the vendors are able to maintain their livelihoods, and the Berkeley community its bright spot. We are raising $20,000 to fund the costs associated with running the market on a weekly basis.